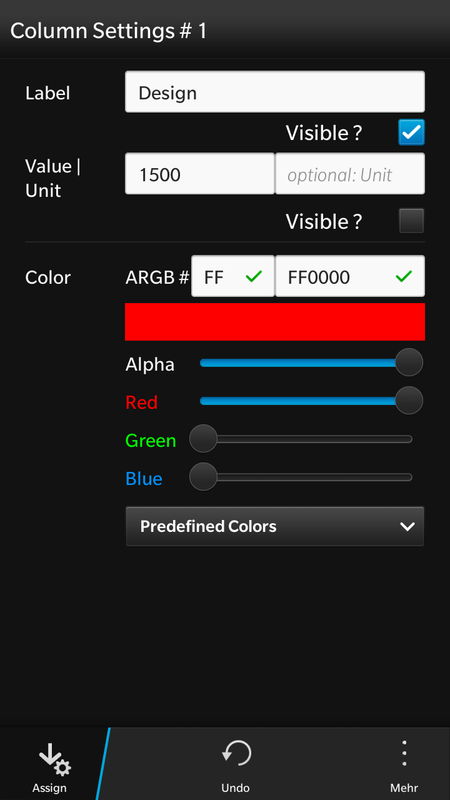 As you know I’m writing Business Apps for BlackBerry 10 and in such apps like SerCar10 there’s always the need to display some charts in dasboards, per ex. seeing Order Entry for the last 8 quarters as a Bar Chart diagram. So I developed this to be used in my applications. I’m also creating countless presentations: really complex ones for my sessions at developer conferences using Keynote / PowerPoint, but also from time to time to create them on-the-go for a presentation at customer site. 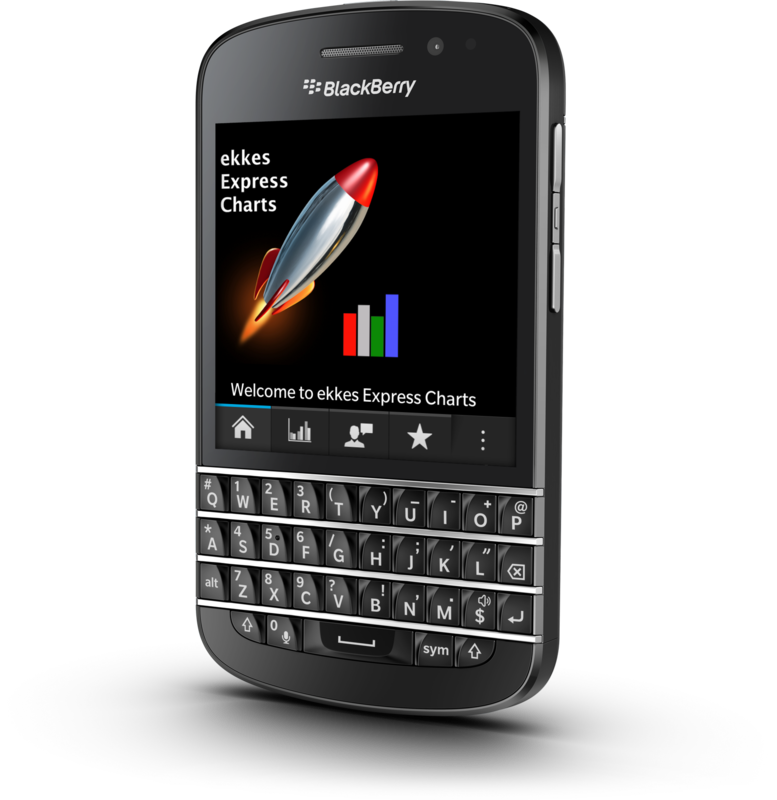 BlackBerry EXPRESS allows you to insert Images, Titles, Chapters, Bullets but is missing the ability to create Charts. 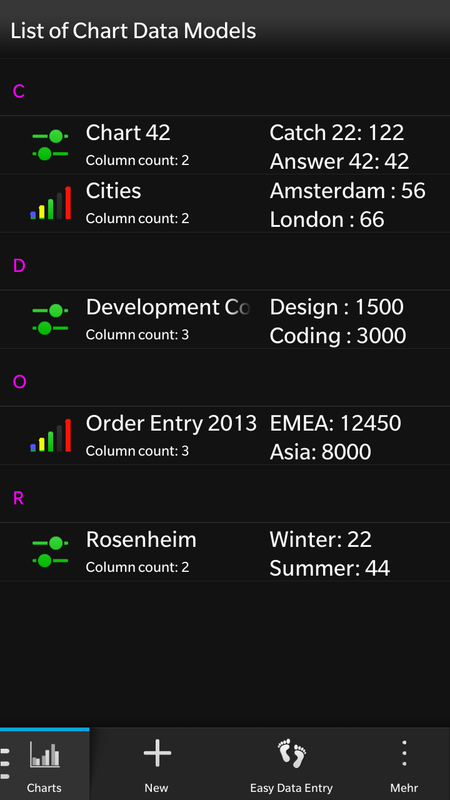 I blogged about HowTo create a Bar Chart using Cascades and got a request from BlackBerry Sweden (Cascades) if I would like to write an application which can be invoked from BlackBerry EXPRESS. I looked around at BlackBerry World for native Chart applications and didn’t found a good one certified as Built-For-BlackBerry. 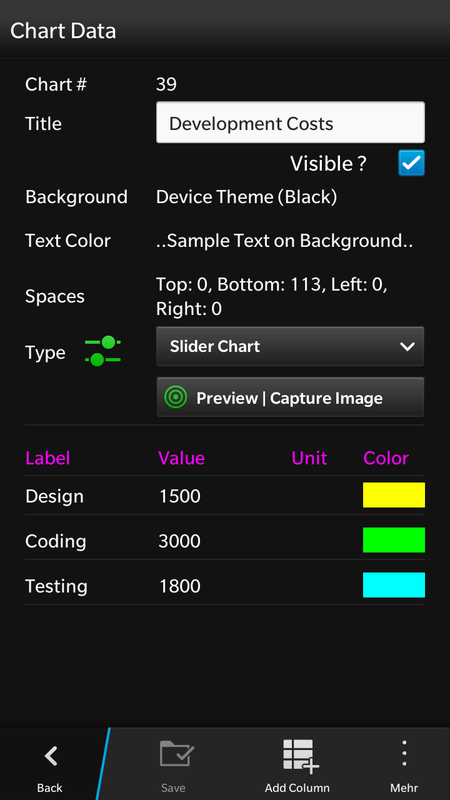 Finally I created a fully customizable Chart – Creation APP and you can use it also as a standalone app or integrate into 3rdParty using Invokation framework. 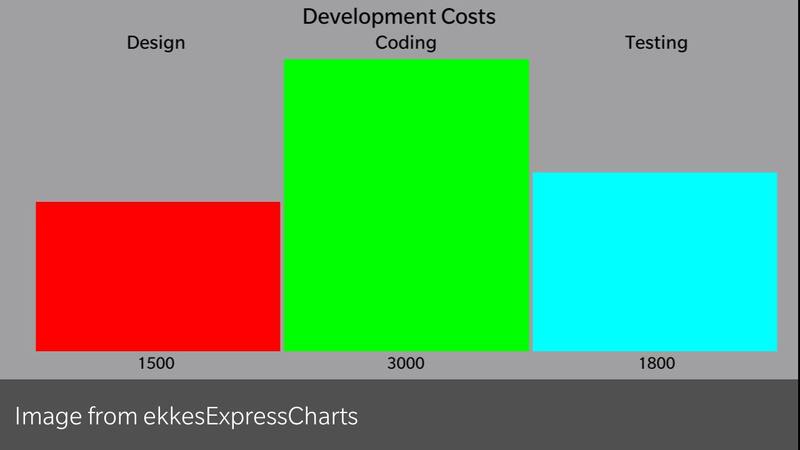 There will be some blogs about the workflows HowTo use ekkes Express Charts and also some tips & tricks how it’s done from a developer POV. There’s even a switch to set the correct bottom padding for BlackBerry EXPRESS. In EXPRESS you select an Image and then enter the title which is shown half transparent above the Image. leaving 113px at the bottom and it will fit perfect. Easy Data Entry allows you to create all at once: enter number of columns, title, lable, values and get the chart. Preview always gives you feedback how the image will look like – you can rotate and test in Portrait or Landscape. 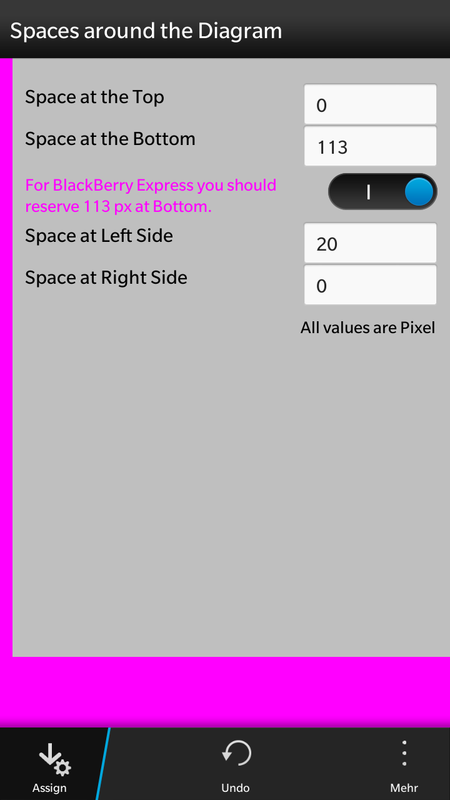 Hint: for BlackBerry EXPRESS you should always use Landscape. 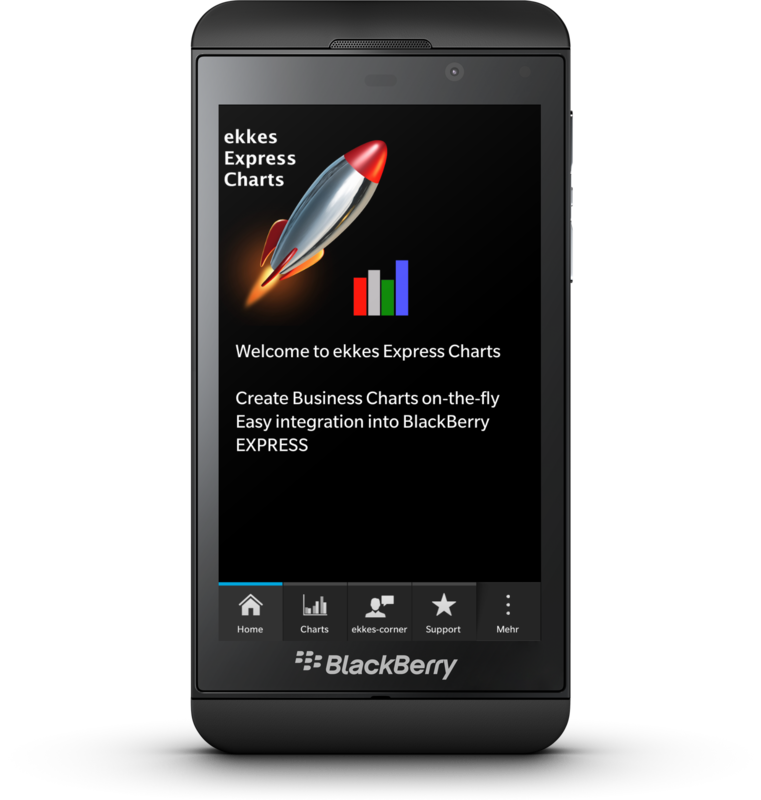 then you can create or get your chart and go back to BlackBerry EXPRESS. 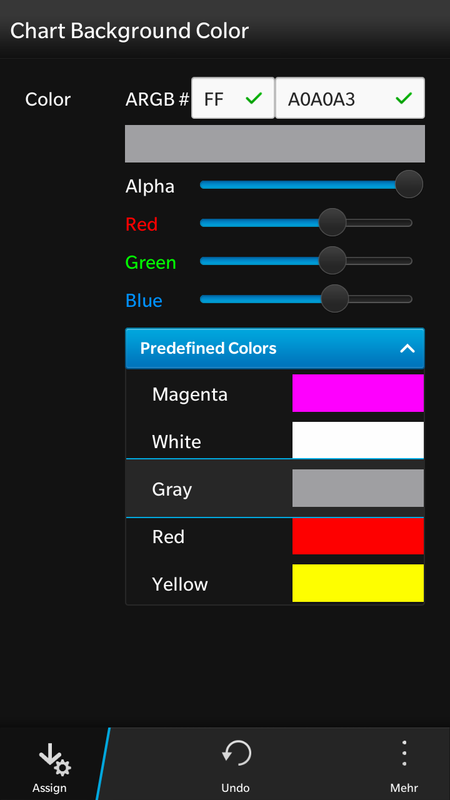 More Chart Types will come ! 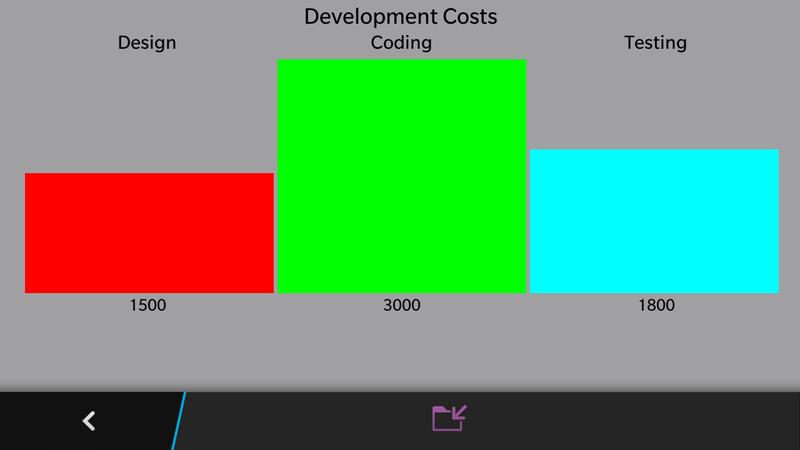 I started with two Chart types built using native cascades controls: Bar Charts and Slider Charts.